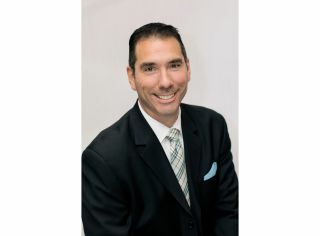 NICK BELCORE: I am the executive vice president of global sales and marketing at Peerless-AV. In this position, I am directly responsible for providing a global vision and strategy for growth across the entire organization. NB: I have been in this role since 2016, but have been with Peerless-AV for 12 years working across various sales and marketing positions. I first joined the company as its national sales manager of the pro AV division and then moved up to managing director of sales. From there, I became vice president of North American sales, which led me to my current role. NB: My background has been heavily steeped in both technology and sales—leadership experience and managing highly effective teams is transferable from one great organization to another. Prior to joining Peerless-AV, I worked in the pharmaceutical industry where I had significant exposure to how advanced technologies were providing tremendous benefit to both patient and physician. This interest in evolving technology is what peaked my interest in the AV industry. When I was first hired at Peerless-AV, it was to manage our pro AV teams, which were responsible for the lion’s share of our revenue. That experience allowed me to understand how dynamic and rapidly evolving the landscape of the AV industry is—which was new to me at the time—and provided me with insights into how responsive we needed to be as a company to best meet the needs of our customers and our markets. Peerless-AV has been at the forefront of innovation, not only in the mounting space, but also in the ruggedized commercial display, wireless, kiosk, and LED spaces. To be successful in those categories requires insight into what the market will need, and that insight is gleaned from the amazing industry experts with whom Peerless-AV partners, and is proud to call customers. That has been the monumental learning lesson throughout my career—the importance of relationships, built through sales, marketing, customer service, and more, and that each position is necessary for overall company success. NB: My primary short-term goals are to grow our workforce with highly talented individuals and to become as well known for design, engineering, and installation of LED systems, as we are for mounting solutions, kiosks, and outdoor displays. We have had great success in expanding our talent pool and are strong proponents of increasing interest among young adults entering the AV space. These individuals bring with them a passion and desire to learn—things that are of vital importance when starting a job. My long-term goal, with the addition of the Seamless LED program, is to become the logical partner for digital signage deployments of all iterations. We are eager to continue specifying new and exciting projects with the digital signage advancements we are making as a company. NB: Ironically, the largest challenge that we face is our significant history of being a mounting solutions provider. Although we pivoted sharply away from providing just that single component nearly eight years ago, we are in an industry of tremendous inertia. Changing the way people see you takes highly effective marketing, time, and persistence. We did not begin to fully enjoy our diversity of products and mindshare in a meaningful way until almost six years after the transition from Peerless to Peerless-AV occurred. The geometric growth from the non-mount products began to manifest in 2016 and continues to propel us forward today. While mounts will always be at the core of what we do, it is exciting to be known for our immense capabilities in other areas. NB: This is the billion-dollar question. Geographically, the AV market, at least for Peerless-AV, is headed outdoors. AV-over-IP is going to make it easier than ever to get your content to your hardware and will revolutionize the UI/UX on everything from entertainment to education and beyond. SCN: Are there new initiatives we are likely to see from Peerless-AV? NB: Peerless-AV is providing state of the art interfaces to complement our integrated product launches. A specific example would be the new LED builder as the interface tool for our Seamless LED program. All future initiatives from Peerless-AV will ensure that the ability for the customer to conceptualize and build the product is as stress-free as their deployment. NB: Systems contractors are key partners for Peerless-AV, and it’s crucial that we obtain their buy-in when it comes to recommending our products for installations. To ensure systems integrators are comfortable with our products and truly reap the benefits of using them, we offer an award-winning Certified Installer Training Program where we demonstrate the importance of proper installation techniques and safety, and address efficient methods to reduce the risk of faulty installations. We provide integrators with free education and our courses offer AVIXA CTS Renewal Units (RUs) as well as CEDIA Continuing Education Units (CEUs). These courses can be completed online or in-person. In addition, Peerless-AV prides itself on our educational webinars, which are free to all viewers. We touch on relevant topics, such as outdoor AV, LED versus LCD, and digital signage ROI. We also often take part in training sessions at industry tradeshows, where our executives meet with systems integrators to discuss new products and best practices for installations.